TWO fishermen from Ardglass were rescued after their 14-metre prawn trawler, the Snowdonia, sank about 10 miles east of their home port. 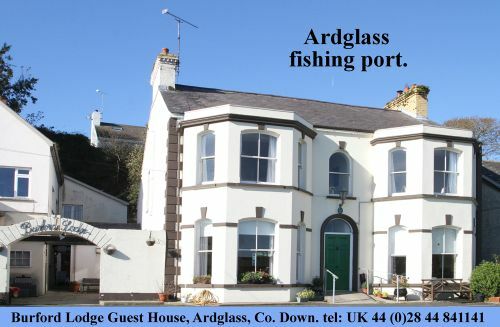 They were rescued by a Kilkeel trawler currently based in Ardglass skippered by Collie Crangle who also fishing in the area. The two crewmen were taken to Daisyhill Hospital but are believed to be uninjured and have since been released. It is unclear at the moment as to the cause of sinking, but it is believed the vessel filled up quickly with water giving them little chance to return to port for repairs or be towed to safety and forcing the fishermen to call the emergency services by radio. The RNLI Kilkeel inshore rescue boat and the Irish coastguard rescue helicopter from Dublin were involved in the rescue. Sea conditions are believed to be reasonable after a couple of quite rough days which prevented the local fleet from getting out to sea. The Snowdonia, owned by Stephen Kearney, was one of the long-standing vessels in the Ardglass prawn fleet and is pictured, centre, below. It is a prawn trawler, built in 1969 in Eyemouth in Scotland, with a 172 hp Cummings engine recently refitted, and it fished a single bottom trawl. South Down MP Margaret Ritchie has welcomed news that two fishermen have been rescued safe and well after their vessel sank off the coast of Ardglass on Tuesday. Ms Ritchie said it outlined the value of the coastguard and emergency service and said it was a shining example of North-South co-operation on vital issues making a significant contribution to everyday life here. “I’m very pleased that both fishermen have been rescued safe and well and I thank the Kilkeel inshore lifeboat team for their brave actions. This shows the necessity of the retention of the local coastguard service in county Down with the subsidiary locations in Newcastle and Kilkeel. “I have fought for the retention of the coastguard station in Northern Ireland last year at Westminster because it operates on an all-Ireland basis, both on land and sea. 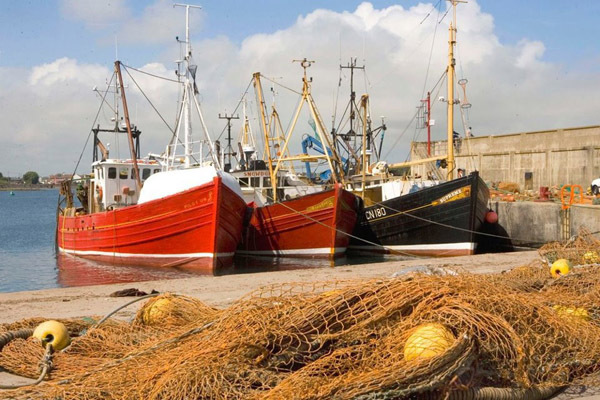 The fishing industry is vital to the local economy of South Down, with fishing ports in both Kilkeel and Ardglass. “This value is held in great esteem. The SDLP will be present in the Dáil tomorrow to give evidence in the strongest possible terms that the retention of Malin Head coastguard station is vital for the safety of shipping around our coast. South Down MLA Chris Hazzard said the actions of the rescue services have proven again that the Coastgaurd service on boath sides of the border needs to be maintained at full capacity and there should never have been consideration of any closure of key Coastguard stations such as Bangor or Malin Head. He said: “This incident underlines how dangerous the work of fishermen is and I commend all of the rescuers today for ensuring that this sinking did not end up as a real human tragedy. I an delighted that both fishermen are well after their harrowing ordeal. The quick actions of the Tribute skipper and the rescue services ensured a positive outcome. Over the years our local fishing ports have seen many deaths and accidents at sea and we must do all we can to prevent this from happening.